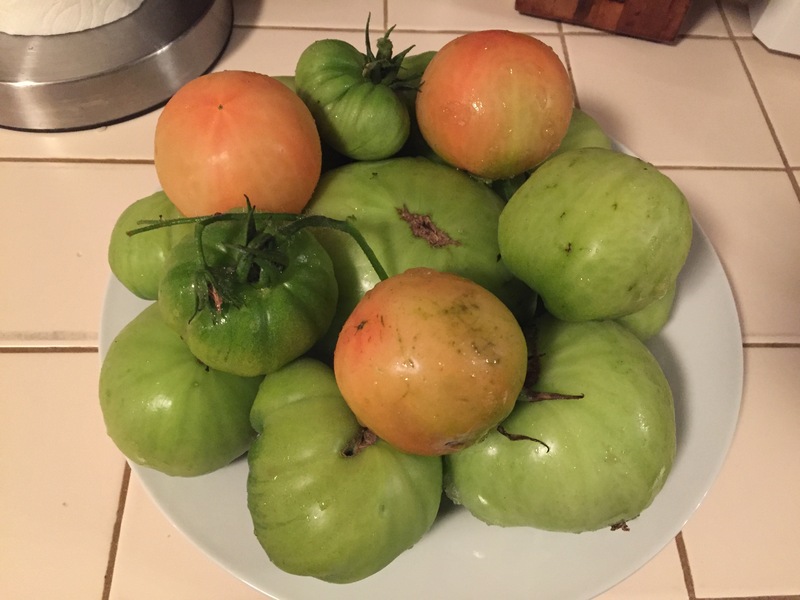 I brought all my still-green tomatoes indoors, put the cut stalks in a vase of water just like flowers; they have all ripened!! Who’d have thunk?! Or wrap them in newspaper and put them in a cool place (not the frig). That is supposed to help them ripen. That’s what my dad always did with the last of the tomatoes.